Students who are looking for informal letters for the examination of 9th class, class 11 and B.A are at the right place. Here you can find important and unique letters with different and unique vocabulary and sentences. Here is a Letter to Your Friend Thanking for the Hospitality During Your visit for outstanding students of Matric, Intermediate and Graduation. 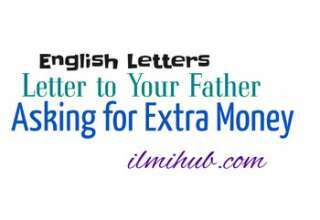 In this letter you will learn how to write a thank you note. There are some more English Letters here. 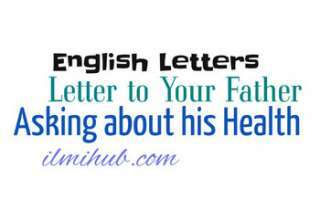 l write to you in anticipation of well being and good health. I am in good Spill-ls and I have reached home safe and sound. I am still remembering the pleasant memories of my stay at your place and shall cherish your love and kindness for a long time to come. I reached home last Sunday. My parents were very pleased to see me back after a month. My journey back was very pleasant, comfortable and safe. However. l felt rather sad after leaving you. Your company, the affection of your parents and the care of your members of family and friends were really wonderful. As I have already stated. I would never forget your hospitality for a long time. It is my duty to thank you and your parents for the nice time I spent with you. Your parents treated me with love and kindness. I really enjoyed my stay with you. No doubt, it was a month full of excitement and happiness. During my stay, we talked, laughed so much and took so many long walks that it all appears to be a beautiful dream now. I shall never forget the enjoyment I had in your company in Quetta. it is a bit hot during the day but evenings and nights are always very pleasant. There was no boredom and dullness. There was enjoyment and entertainment everywhere. I shall never forget the taste of mutton karahi and green tea that your mother stuffed us with. l must thank you for the trip to Urak valley and Ziarat that you specially arranged for me. Convey my thanks to aunt and uncle because their kindness and love really made me feel at home. I thank you once again for your hospitality and affection. 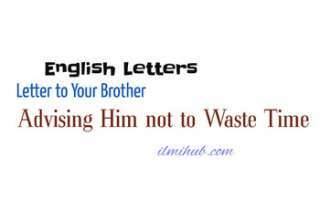 If you have prepared this Informal Letter to Your Friend Thanking Him for His Hospitality During Your Stay then you might Like Write a Letter to Your Friend Requesting Him to Spend His Spring Holidays With You also.